Too little time with too many tyres to keep spinning? 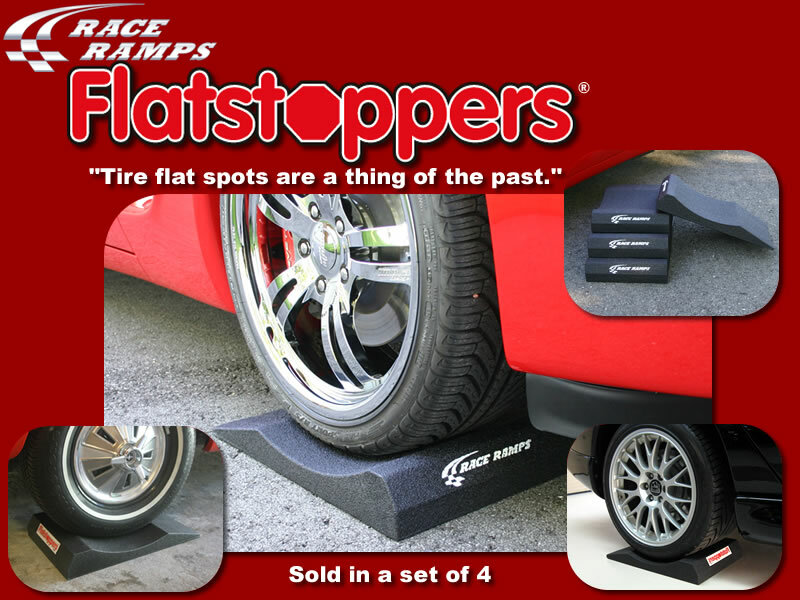 FlatStoppers® are saving thousands of tyres world-wide while they’re “stuck” in storage. Whenever you’re storing your caravan for thirty days or more, this best-selling product will preserve your tyre shape. Once tyres are set in FlatStoppers on a level surface, they settle into the pad’s concave depression, which evenly disperses the weight of the vehicle across the tyres and prevents flat spots. Additionally, FlatStoppers will not conduct heat or cold into your tyres despite changing floor temperatures. 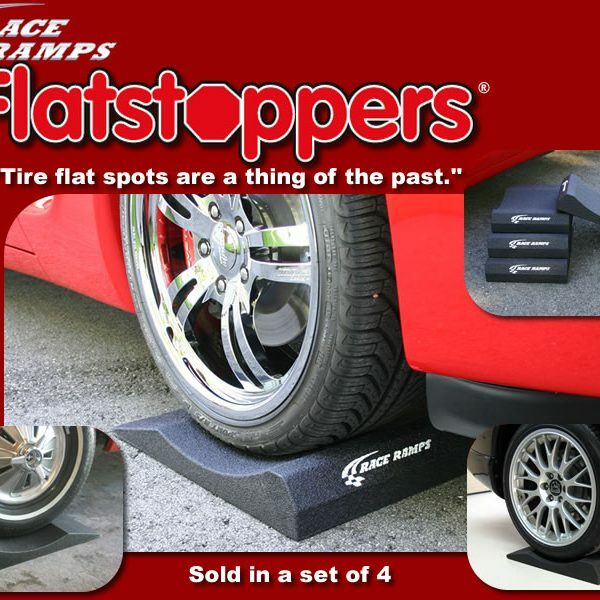 Each FlatStopper can hold up to 680kg, for a total weight capacity of 2720kg. They are intended for use with street tyres, not heavily-lugged truck tyres. The new supercar version can hold tyres 14″ (35.5cm) wide and offers a lower angle of approach for even easier vehicle positioning. All FlatStoppers accommodate tyres with a diameter of 25″ (63cm) to 30″ (76.2cm).